/ins Next spring, PulPaper will bring the world’s best experts together in Helsinki to explore digitalisation, biorefinery development and breakthrough innovations. The seminars will feature top international speakers from Japan, North America and other parts of the world, as well as renowned Finnish business leaders and researchers. 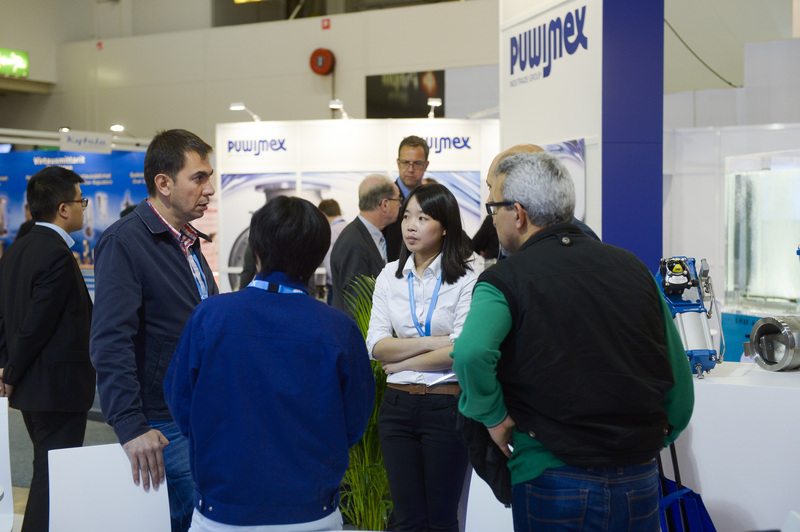 PulPaper 2018 will be held at Messukeskus Helsinki, Expo and Convention Centre from 29 to 31 May. The theme of the event is “Visit tomorrow today.” This refers to new innovations and technologies that the forest industry can harness to evolve in the digitalising world. During the event, the two-day Pulpaper Conference will be held from 30 to 31 May. More than 40 Finnish and international experts, researchers and company representatives are scheduled to give presentations at this top seminar. The conference will consist of keynote speeches for all participants and a selection of themed conference programmes. The first keynote speaker will be Maria Strömme, Professor of Nanotechnology at Uppsala University, who will envision innovative products of the future. The second keynote speech will be given by Ilkka Hämälä, the next President and CEO of Metsä Group. He will describe how the new bioproduct mill in Äänekoski integrates the traditional pulp industry with the manufacture of new bioproducts. 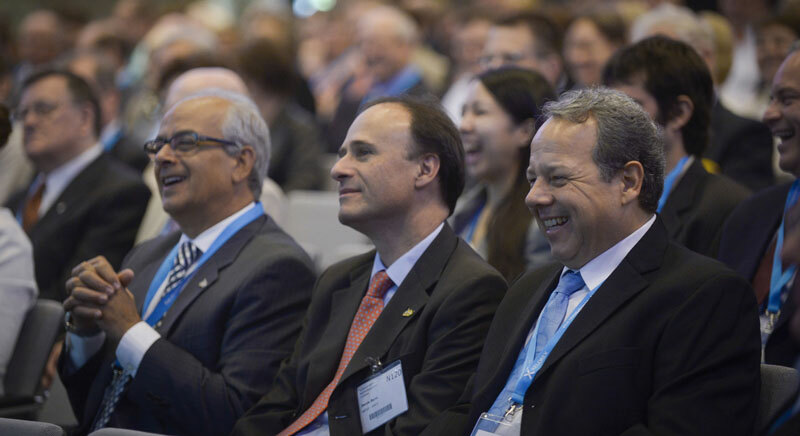 After these keynote speeches, which are intended for everyone, attendees can choose from a range of interesting themed conference programmes that will be held concurrently. The themes include breakthrough innovations in the industry, biorefinery development, changes in consumer behaviour and the opportunities ushered in by digitalisation. Researchers will present current research results and company representatives will tell about how innovations are harnessed in business operations. One of the themed seminars will revolve around innovations: what are the big innovations that are revolutionising the industry and how are they utilised? Heiner Grussenmeyer, Director, Group R&D of Stora Enso, will present a research project seeking breakthrough technology for the manufacture of chemical pulp. Professor Tapani Vuorinen from Aalto University will tell about a new catalytic bleaching method that is currently under development and has the potential to yield substantial cost-savings. - Domestic innovations improve the image of Finnish companies and their opportunities to thrive in international competition. Finland has long had a strong position in the development of pulp manufacturing technology. If it proves to be successful, catalytic bleaching can significantly reduce the capital and operating costs of the bleaching process through a manyfold increase in chemical reaction efficiency in bleaching. Pulp industry suppliers will also benefit from this development, enabling them to respond to the needs of their customers better, says Tapani Vuorinen, Professor of Wood Chemistry at Aalto University. Another overarching theme related to innovations is the development of new biorefinery concepts. Professor Lew Cristopher from Lakehead University will analyse the opportunities companies can reap from switching over to new biorefinery concepts. Olli Dahl, Professor of Environmental Technology within Process Industry at Aalto University, will assess the business opportunities of the new biorefinery planned for Kemijärvi, and Gisle Løhre Johansen, SVP, Business Development and R&D at the Norwegian company Borregaard will present the operations of a Norwegian mill operating under this principle. Digitalisation and its impacts on industry will comprise one of the seminar themes. Danish futurist Rolf Ask Clausen will analyse how digitalisation and technological development change the business models of companies. Petri Vasara from Pöyry’s BioFutures unit will evaluate how digitalisation impacts on companies in the forest industry. Real-life examples of companies illustrating this theme are found in the packaging industry and media. Digitalisation and innovations will also be showcased at stands presenting the latest practical applications to customers. Pöyry’s stand will present the new business opportunities ushered in by digitalisation and new innovations over the entire value chain. - As we operate in an increasingly networked environment, we expect that we’ll meet an even broader range of visitors at PulPaper, including industrial players, technology suppliers and start-ups representing many different sectors, from digitalisation to advanced technology innovations, says Marika Hahtala, Marketing & Sales Support Manager at Pöyry. Two presentations will delve even deeper into the theme of digitalisation. Janne Öhman, CEO of Siemens, will present a forest industry digitalisation project being carried out with VTT, and Satu Kiiskinen, EVP, Industrial and Consumer Services at Tieto Corporation, will discuss the possibilities of the use of big data and industrial Internet in the forest industry. PulPaper, Wood, PacTec Helsinki and Bioenergy are events with a wide-ranging focus on the forest industry. They will be held at Messukeskus in Helsinki on 29–31 May 2018. PulPaper is an international forest industry event that includes an exhibition, seminars and other programmes, an evening programme and visits to Finnish mills. About 400 companies will participate in the exhibition and around 14,000 visitors are expected. The PulPaper Conference will be held from 30 to 31 May. An admission fee is charged. In addition, the Business Forum seminar and 3D Printing of Biomaterials event will be organised in connection with PulPaper on 29 May (an admission fee is charged). An evening party for industry professionals will be held on 30 May. Free information briefings will be held in the exhibition area daily. Visits to Metsä Group’s Äänekoski bioproduct mill and Kotkamills’ board mill will be organised on 31 May and 1 June.